Choose colors wisely: Hi, I’m Cailin and I’m a spiller. (Hi, Cailin.) As such, white and basically anything on the spectrum below charcoal are NOT my friends. It’s ok to pick your clothes based on the fact that you’re, um, kinda clumsy (or overzealous when you’re near the salsa). Cycle right: While the casual/heavy cycle is great for towels, use the gentle cycle for soft fabrics like cotton. Turn your clothes inside out! Those prints and appliques will stay vibrant and last so much longer that way. Use fabric conditioner. The science supports it: fabric conditioners lubricate clothes, helping them withstand the friction of the pulling, tugging wash cycle that much better. 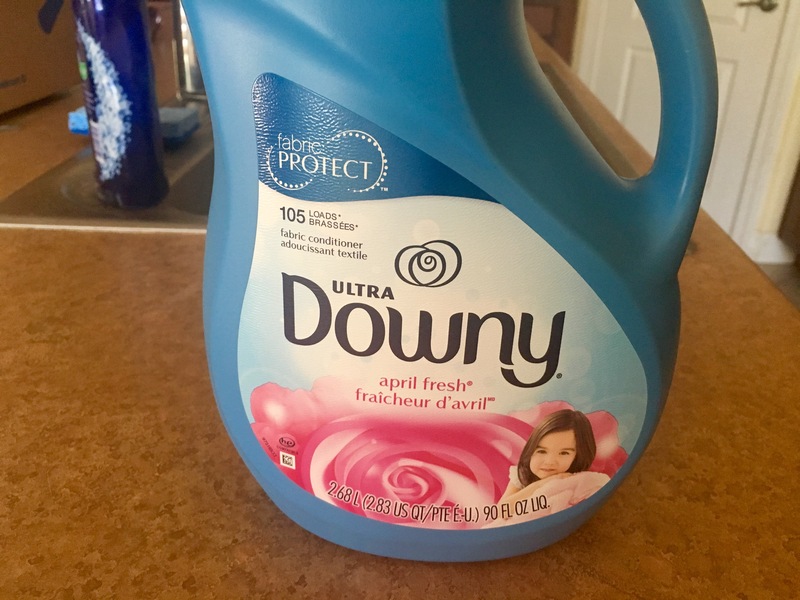 I recently started using Downy Fabric Conditioner with my clothes, and it makes a huge difference! My go-to sheer grey layering tee is so much softer now, and I don’t worry about its thin fabric in the washer. Fellow trendsetters: Downy protects all clothes, from the LBD to the palazzo pant! Instead of losing their shape, clothes bounce back to their storebought form. Colors stay true and resist fading. Even towels are protected from pilling and fuzz, and the best part is, everything is softened for added comfort. Plus, Downy Fabric Conditioner provides clothes with long-lasting freshness and reduces wrinkles better than using detergent alone. On the second pic? I was thinking the same thing. Want!